I will not spoil anything major here! With that out of the way, raise your hand if you want to be in despair? For those of you who raised it, Danganronpa 2: Goodbye Despair wants to put you and 15 other students in despair, effectively making Itoshiki-sensei happy enough to hang himself! Anyone else watch Sayonara, Zetsubou-Sensei? 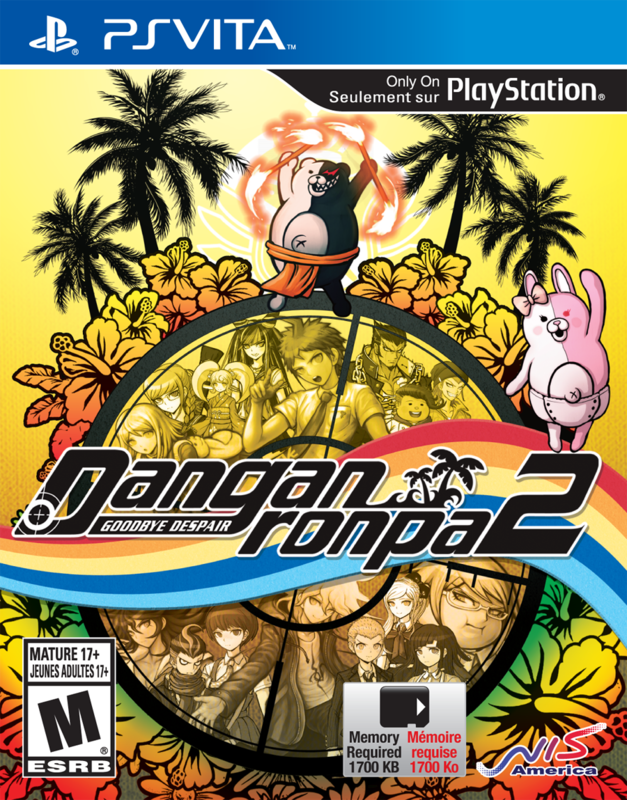 Before getting into the review I asked myself what kind of name is Danganronpa? Turns out it is a combination of two Japanese words: Dangan(弾丸 – Bullet) and Ronpa(論破 – Refutation or Objection) . 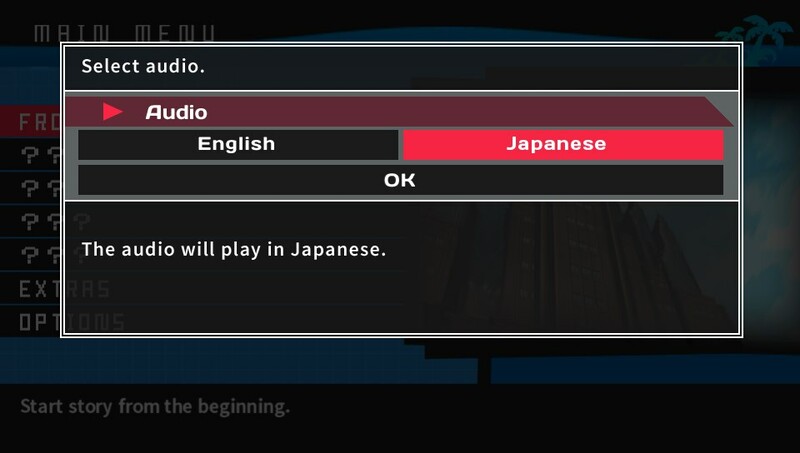 Speaking of Japanese, you purists can rest easy as there is dual audio here! The difficulty affects how much time you have during the trials to make decisions. 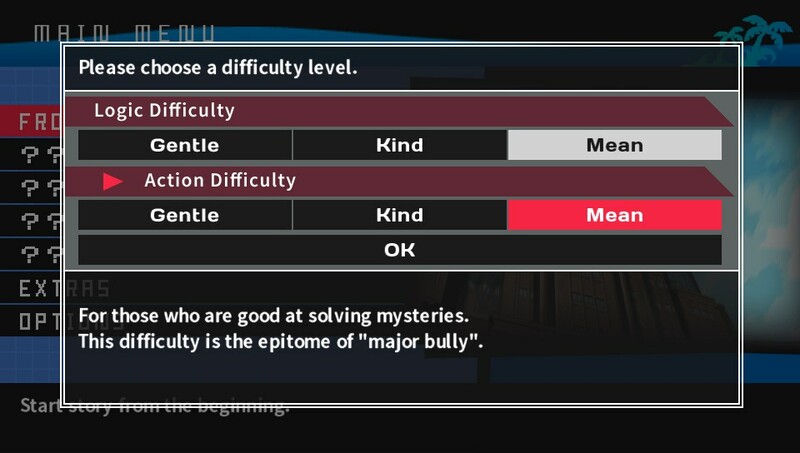 I’m picking mean because I want to put myself…in DESPAIR! Usami is trying her best to get the students comfortable on the island and with each other until Monokuma comes to crash the party. His opening act: turn Usami into Monomi and strip her of her magical powers… by putting a diaper on her! Once again, not unusual. Stuff like this happens way more often than you think! Monokuma then informs the students on how things are going to play out for the rest of the game. The only way they can escape the island is if they kill each other. 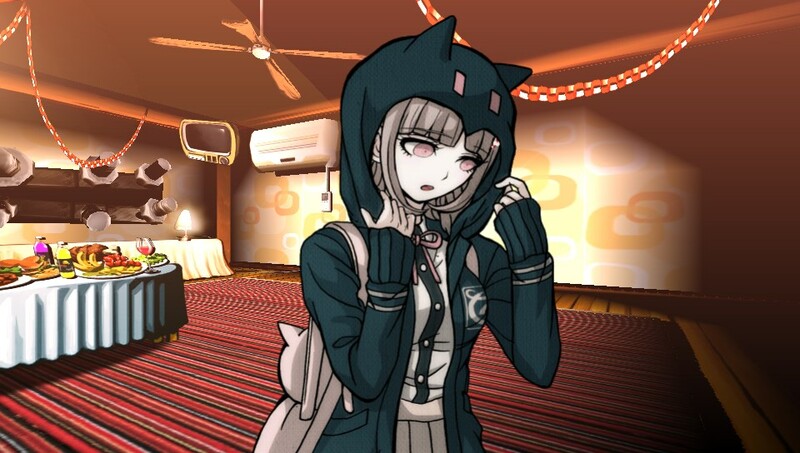 Before you start saying things like “Whoa, that’s a ripoff of Battle Royale,” well, it sort of is except that every time someone is killed, the students have to participate in a class trial. During these trials, they have to figure out who was the killer. 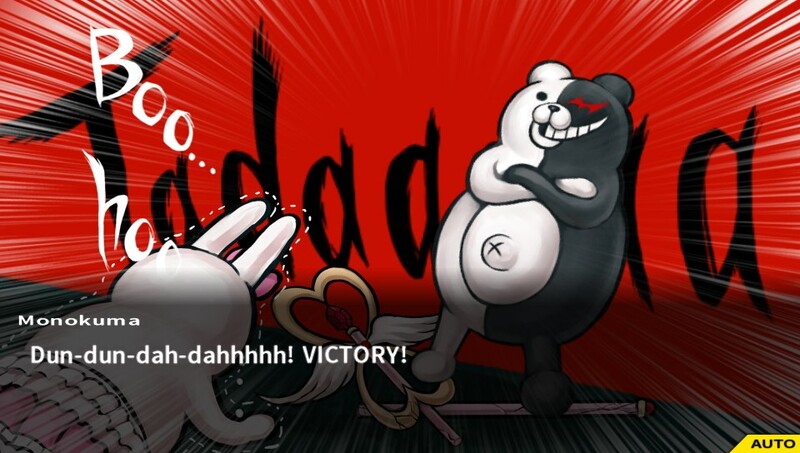 If they succeed in figuring out who did it, the killer gets punished and killed by Monokuma. Should they fail, however, ALL of the students except the murderer are killed, and, thus, he or she graduates the academy and is granted permission to leave the island. This woman is trying to win my heart, and she is succeeding! The game features 3D environments which are explored in a first-person perspective while most of the characters are 2D. The artwork is really well done. 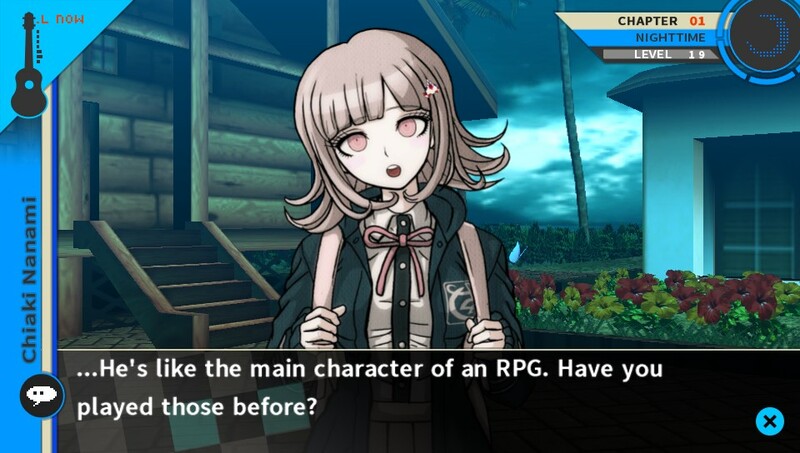 The sprites are only animated during cutscenes, but, even during normal gameplay, Chiaki looks gorge- I mean all the characters’ sprites look beautiful. In fact, you can actually hit the L button to remove the dialogue box so you can appreciate the artwork. The English voice acting is really good and suits the characters well. You can also press the R button to allow for the text to flow automatically so, during a cutscene, you can just relax and watch it instead of having to hit the X button ever couple of seconds. All of this is enhanced with a solid and varied soundtrack. There are some catchy tunes, including remixes from the previous game. When you are exploring the island the music is very tame and calm. After all, you will need to unwind a bit after witnessing some of the madness on the island. This is in contrast to the music played in the Class Trials, which is far more intense and dramatic, especially during the nonstop debates. One nice touch is that the name of the song currently being played is listed in the upper left corner of the screen.